Founded in 1984 and headquartered in Houston, Amerisource® is one of the largest and fastest-growing independent commercial finance companies in the country, with providing over $6 billion in capital to borrowers and clients through both its Asset Based Lending arm (Amerisource Business Capital) and its A/R financing arm (Amerisource Funding). 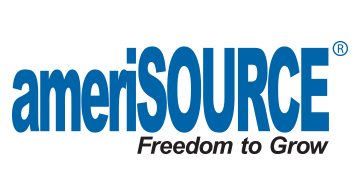 Amerisource provides working capital financing and outsourced receivables management to small and middle market companies with financing needs from $50,000 to $15,000,000. Core products include asset-based lending revolvers, accounts receivable factoring, seasonal bank "over-lines", outsourced A/R, credit and collections management, debtor-in-possession ("DIP") financing, trade finance for importers, and export factoring. Amerisource also provides portfolio management and servicing for banks through its private label program Lender’s Choice™, portfolio acquisitions and liquidations, and rediscount lines of credit. Amerisource prides itself on outstanding client service and boasts an industrial-best client retention rate in excess of 48 months.